The Champ Foundation wishes you a happy holiday season! We are excited to share updates about our year! The continued efforts by The Champ Foundation grantees have brought us closer to real improvements for those fighting Pearson Syndrome. In September 2018, Drs. Minczuk and Gammage and Dr. Moraes published back-to-back articles in Nature Medicine (see here and here for more details). Their research was proof-of-principle that genome-editing tools can reduce the amount of defective mtDNA and could “open the way for the first treatments for mitochondrial diseases.” We are excited to support their ongoing work, as they drive these exciting findings toward the clinic. Dr. Micnzuk’s lab is working to develop a mouse model for Pearson Syndrome and Dr. Moraes’s lab is investigating a new genetic editing tool’s applicability to mitochondrial diseases. The research group in Israel is continuing their efforts to set up an FDA sanctioned clinical trial. They have treated three patients so far under compassionate use with encouraging initial results. When we started The Champ Foundation there was no treatment for Pearson Syndrome. We are thrilled and heartened that an experimental treatment is quickly moving toward the clinic. The Champ Foundation’s 2018 Pearson Syndrome Conference was a one-day meeting held at Boston Children’s Hospital on February 5, 2018. Teams from Boston Children’s Hospital, Sheba Medical Center, and the University of Cambridge presented on their research findings, while clinicians from the Cleveland Clinic provided an update on the ongoing natural history study. The meeting helped establish the current state of Pearson Syndrome research and inspired future collaboration. The attendees also helped The Champ Foundation create a general set of guidelines for newly diagnosed Pearson Syndrome patients, which are published here. We have provided these guidelines to a number of families in the early days of their fight with this disease. We organized a fundraising campaign for the month of June in honor of Champ's third birthday. 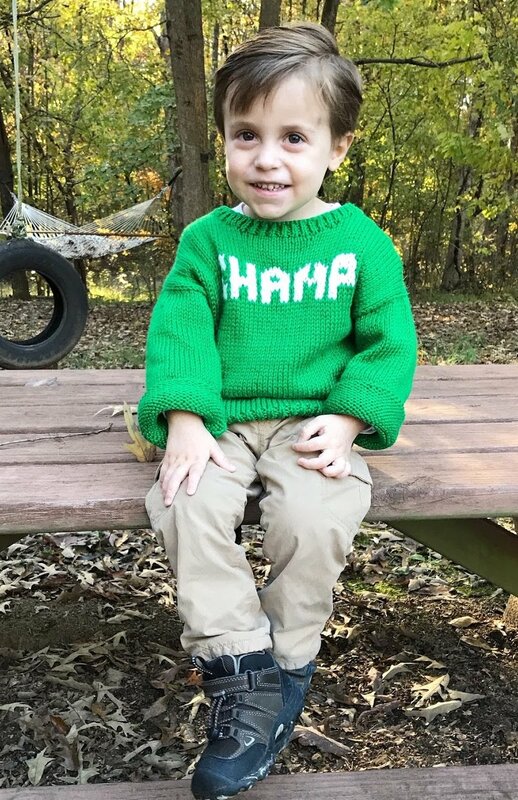 The goal of the campaign was to (1) raise awareness of Pearson Syndrome and our goals, (2) highlight the #ChampStrong community, and (3) describe why your donations are so important to funding research. In 22 days, we raised over $27,000 to support research to find treatment and a cure for Pearson Syndrome. The most memorable part of the campaign was the pictures, videos, and posts from other children fighting against this disease. We are so grateful for the parents of Jayden, Ben, Camden, Ray, Windland, Tru, Ryota, Mila, Aiden, and Sinniva for participating. 1. Donation through Facebook Facebook and PayPal have teamed up on Giving Tuesday (11/27) to match donations made through Facebook up to $7 million, starting at 8 am ET. To maximize your contribution, please make a donation as soon after 8 am ET as possible to help ensure it will be matched. There are no fees for donations made through Facebook to tax-exempt 501(c)(3) organizations like The Champ Foundation. 2. Consider organizing a Facebook fundraiser We hope you consider organizing your own Facebook fundraiser for The Champ Foundation on Giving Tuesday (11/27): https://fb.com/fund/thechampfoundation/. You can be creative with the photo you use, name of the fundraiser, etc. You can also choose the dates your fundraiser is open. Ask friends and family to consider making an end-of-year, tax-deductible donation to The Champ Foundation. Donations are automatically distributed, and there are no fees! Facebook fundraisers are also wonderful any time of the year. We are so grateful for those who have dedicated birthdays, honored family members, and hosted fundraisers through Facebook and helped us raise nearly $30,000 on the social media site. 3. Donation through Website or by check The Champ Foundation is a not-for-profit 501(c)(3) and all donations are tax deductible. We hope you consider making a year-end donation to help us find treatment and a cure for Pearson Syndrome. Donations through the website can be made here and checks made out to The Champ Foundation can be mailed to 2712 Little Rogers Road Durham NC 27704. Are you looking for the perfect stocking stuffer or holiday gift? We are selling note card sets for $20. “Buffalo Rising” is based on a vintage postcard from the Pan American Exhibition in 1901. The original painting by local artist (and Champ’s great-grandmother) Molly Dee was sold at The Champ Foundation Buffalo Benefit in April 2016. Here is the link to order some beautiful note cards! Give the gift of (Champ) gear! Our green Champ gear makes the perfect holiday gift! We have short and long sleeved t-shirts, tanks, sweatshirts, coffee mugs and stickers! See our online store for adults and kids. We also have limited quantities of baseball hats, rubber green bracelets, and bumper stickers. Please email [email protected] if you would like a baseball hat ($20), bracelet ($5) or bumper sticker. We will put them in the mail ASAP! Amazon Smile is a simple, no-cost and automatic way to support The Champ Foundation while you shop! Amazon donates 0.5% to the foundation of every eligible purchase. Simply click this link and connect your Amazon account to support The Champ Foundation. So far, we have already raised $500 through Amazon Smile and it’s really got to be the easiest way to support The Champ Foundation! Thank you for joining our fight against Pearson Syndrome. We continue to be encouraged by the experimental treatment and other research projects. We are so lucky to have you in our corner.